Well, I’m slow on the blogging front, but I’ve been working on lots of KCWC stuff in the meantime. Even though we all seem to be at some stage of sick in our house at the moment, I have managed to make great strides. 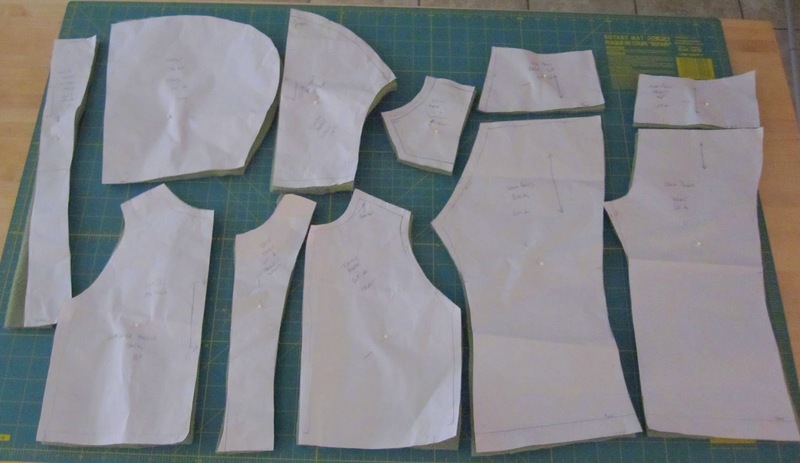 I spent yesterday (Monday) drafting the pattern for the hoodie portion of Bean’s Halloween costume. What should have been a breeze (it’s a COSTUME after all), turned out to take the better of nap time. Of course I couldn’t just make a throw away item. 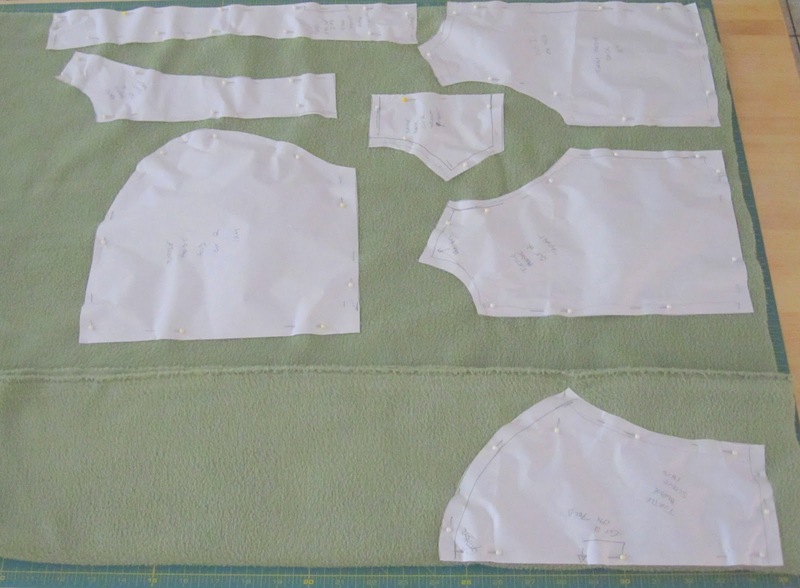 I am making a nice fleece zip up sweatshirt hoodie that she can wear this fall/winter. This will go under and act as part of her costume. 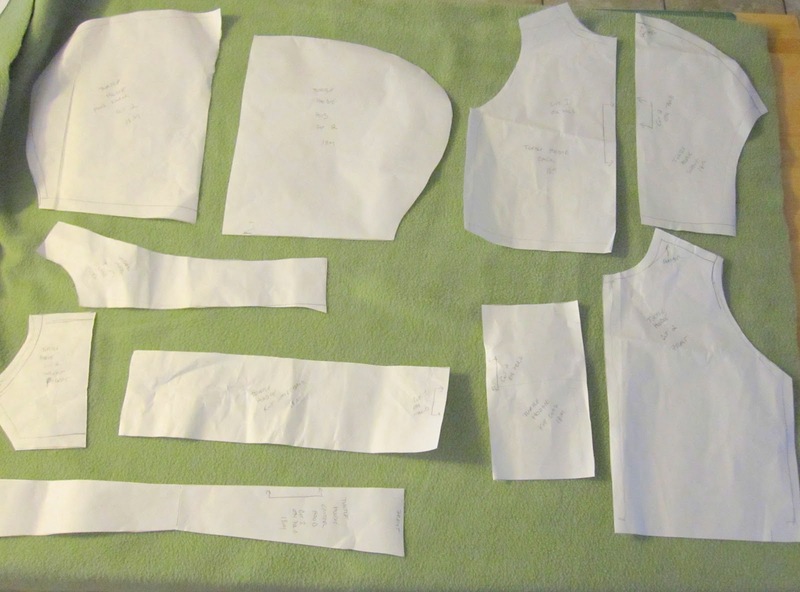 Today (Tuesday) I was able to cut out all the pieces for the drafted hoodie and a pair of pants to match which are made from the pattern I drafted for the Is It Summer Yet pants. I also cut out another pair of the same pattern, but this time in a stretch denim since I had the pattern out anyway.